Emerging Therapies: What’s on the Horizon? 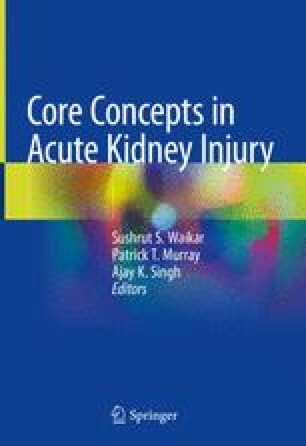 Acute kidney injury (AKI) is a common complication with far-reaching consequences. There is currently no approved therapy to prevent or treat this condition but there are numerous potential agents on the horizon. At a cellular level, important targets include mitochondria, the cell membrane, and the endoplasmic reticulum. In particular, mitochondria have been shown to play a pivotal role in the pathogenesis of AKI. Several novel therapies have been developed to target these organelles. A variety of cell surface receptors have been implicated in the processes of injury and repair in AKI. Several new drugs are targeting receptors to treat or prevent AKI. A number of novel agents with antisepsis properties are also in development, and some have the potential to treat, as well as prevent, AKI. Many of these agents are at an advanced stage of development and may become therapeutic options in the near future. However, there have been many proposed therapies that have failed to yield positive results in clinical trials despite promising preclinical studies. Flaws in trial design may be partly to blame. In addition, the complex and multisystemic nature of AKI makes research in this area very challenging. The ideal therapy is safe and efficacious and has the ability to target a common feature in the pathogenesis of AKI, regardless of the triggering injury.